NTLDR, short for NT loader, is a software that is loaded from the hard drive boot sector displaying the menu of startup of Microsoft Windows NT. It's able to help Microsoft Windows NT load. If NTLDR is missing, you can't boot your computer but only receive the error message: "NTLDR is missing. Press any key to restart." Also got the error message? Don't worry. There are 2 simple ways for you to solve this NTLDR Is Missing problem quickly and easily. If you recently changed your computer hardware or the BIOS settings, get it back. And if there are any CDs, usb drives or other external hard drives connecting to the computer, unplug them all. Because the error is often caused when the computer is making an attempt to start from a non-bootable floppy CD-ROM or disk. Verify this and then reboot your computer. If the solution above doesn't work, please try this: use a bootable disk to start up your computer and repair it. Wondershare LiveBoot Boot CD can be a great choice, which can help you boot your computer and repair this missing error effortlessly. Insert LiveBoot CD or plug in LiveBoot USB, and start your computer. 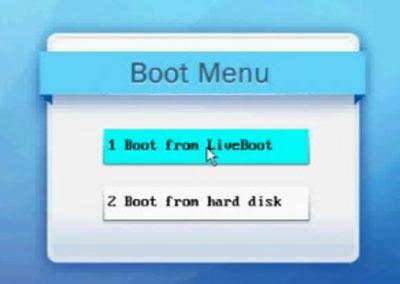 When the computer displays "Boot Menu", choose "Boot from LiveBoot". Then your computer is booting. After your computer boots up, launch LiveBoot program. Choose "Windows Recovery" and the "Boot Crash Solution" tab. There will be symptoms, causes and solutions for your boot crashes, and "NTLDR Is Missing" is in. Then take the methods according to the instructions one by one till you solve this problem. 1. Run a Boot File Recovery to repair it. 2. Run a Disk Check to repair the bad sectors affecting the system files loading. Reboot from your hard disk. If your computer is back to normal, please ignore following steps. 3. 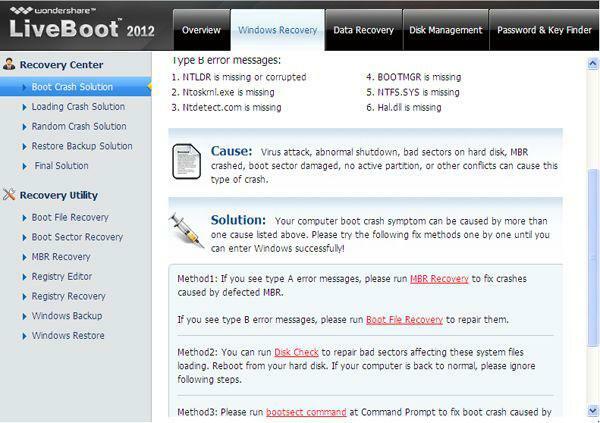 Run bootsect command at Command Prompt to fix boot crash caused by boot sector error. Reboot from your hard disk. If your computer is back to normal, please ignore following steps. 4. This is the final solution if all above doesn't work. Run Windows Key Finder and Office Key Finder to retrieve your Windows CD key and Office key, and then reinstall your Windows and Office. You also can back up your data at first here. 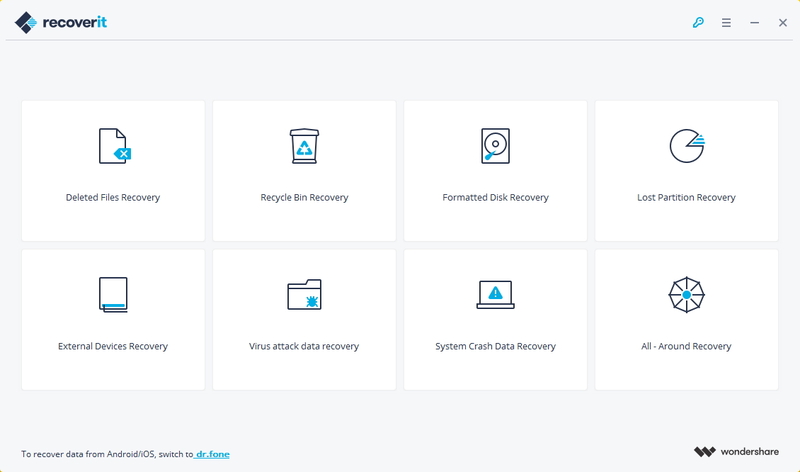 Once you failed to fix NTLDR is missing error, it will caused your important data/files to lost.Under this circumstance, you need a powerful data recovery tool.Here I recommend Recoverit data recovery software for you , it supports to recover deleted/lost data from hard drive as well as from USB drives, external hard drives, and other storage devices.